Introduced last January at NAMM, the iRig UA allows for connecting a guitar or bass to any Android smartphone or tablet supporting USB OTG and OS 4.2 and later, and process the sound thanks to built-in DSP. 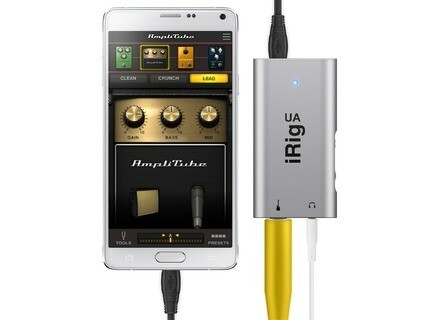 With iRig UA, IK Multimedia get round Android latency issue. The interface includes a 24-bit / 44.1 or 48 kHz A/D converter, an instrument preamp and, most importantly, a DSP that processes the sound without any latency. The interface can also be used as a recording device when used with a Android 5.0 compatible Samsung Professional Audio device. The iRig UA features a 1/4” guitar input, an 1/8” headphone output with dedicated level control, an 1/8” aux input and a micro-USB to OTG connector. 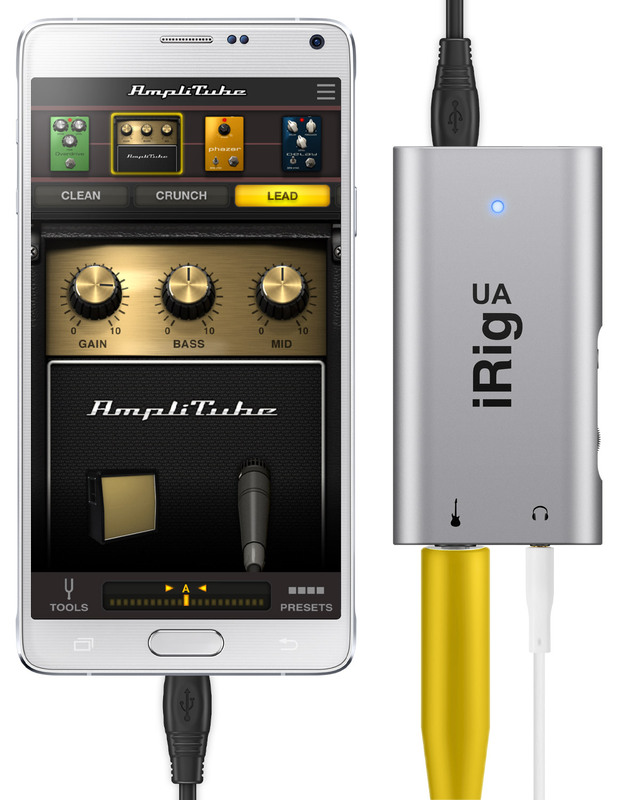 To use the iRig UA, IK Multimedia has already launched the AmpliTube UA app (see this news), so with the interface, you have now everything to start recording to your Android tablet or smartphone. The iRig UA is available for the suggested price of 99.99 € excl. taxes. Visit www.ikmultimedia.com for more info. The iZotope Iris 2 on sale in June iZotope has launched a second promotion on the Iris 2 virtual synthesizer, with a $150 discount in June.